Today we have a fun new middle grade book that fits the multicultural theme: Oops-A-Daisy (The De La Cruz Diaries Book 1) by Melody Delgado. Daisy De la Cruz is a twelve-year-old aspiring singer and actress. She has won a few parts for commercials on television, but she always is stuck wearing a full costume. Will she ever get to show her face? When I’m heading up my own studio the actors won’t get a measly little five-minute break. No way! I’ll give them at least six. Fiction is supposed to show readers how to deal with real life issues and this novel does a good job of tackling some age-appropriate problems. For example, the middle school years can be fraught with landmines when it comes to friendships. Delgado shows how friends can change and how to deal with those changes in a positive way. Another issue that kids run into is not getting the part they wanted, whether it is auditioning for a play, a commercial, or trying out for a sports team. Daisy experiences some disappointments and set backs, but she stays positive and keeps trying. That kind of persistence can make all the difference for achieving success in the future. Let’s not forget the multicultural aspects of the book. Set in Florida, Daisy’s grandfather is from Puerto Rico and the family speaks some Spanish. The back matter has a glossary of the Spanish words and phrases used. This book would be a good fit for Multicultural Children’s Book Day (see info below). Oops-A-Daisy is a fun, wholesome book with a lot of good messages to offer middle grade readers. It is perfect not only for budding singers or actors, but also for anyone who has struggled with friendships. Check out a copy today. 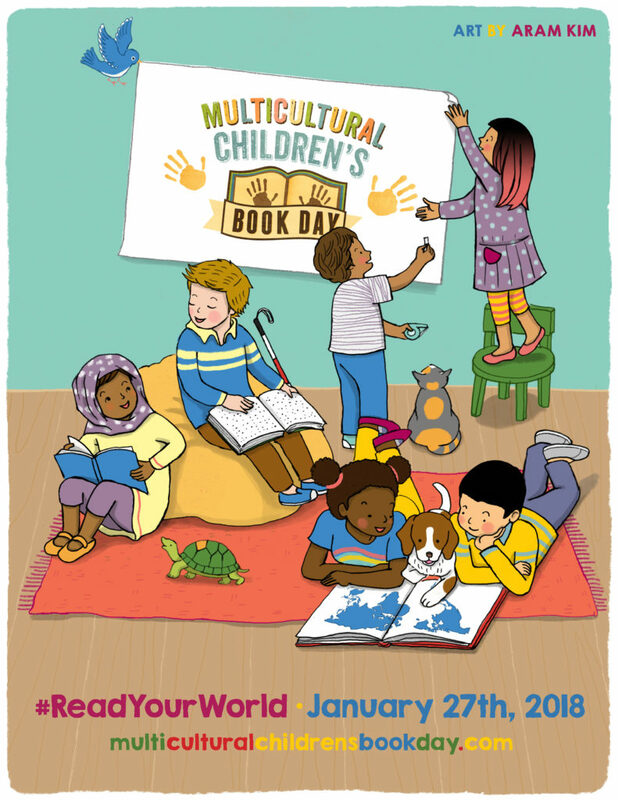 Multicultural Children’s Book Day 2018 (1/27/18) is its fifth year and was founded by Valarie Budayr from Jump Into A Book and Mia Wenjen from PragmaticMom. 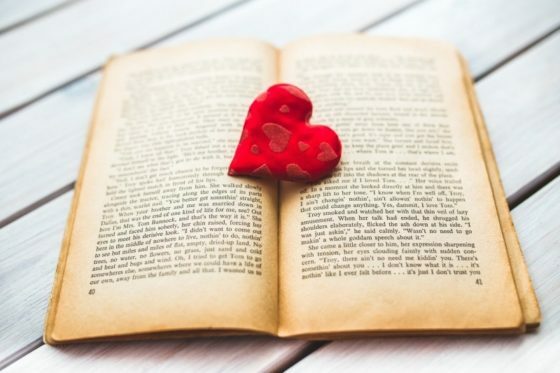 Our mission is to raise awareness on the ongoing need to include kid’s books that celebrate diversity in home and school bookshelves while also working diligently to get more of these types of books into the hands of young readers, parents and educators. Disclosure: This book was provided for review purposes. I am an affiliate with Amazon so I can provide you with cover images and links to more information about books and products. As you probably are aware, if you click through the highlighted title link and purchase a product, I will receive a very small commission, at no extra cost to you. Any proceeds help defray the costs of hosting and maintaining this website. 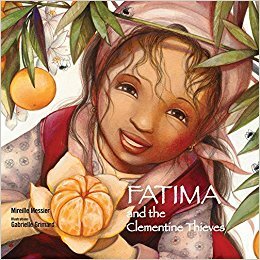 The new picture book Fatima and the Clementine Thieves by Mireille Messier and illustrated by Gabrielle Grimard is fantastic. Not only is it a top notch example of a multicultural book, but it inspires any number of hands-on STEAM activities. How can one picture book do so much? Summary: Living in Morocco, Fatima’s family has an orchard of clementine oranges. Right before harvest, someone or something destroys some of the crop and breaks the trees. When they discover the orange thieves are elephants, what can Fatima and her grandfather do to stop them? With help from her friends the spiders, Fatima comes up with an unusual and humane solution to her family’s problem. Mireille Messier‘s fable has wonderful underlying messages about the importance of collaboration, thinking outside the box, nonviolent solutions to problems, and how little things can make a huge difference. 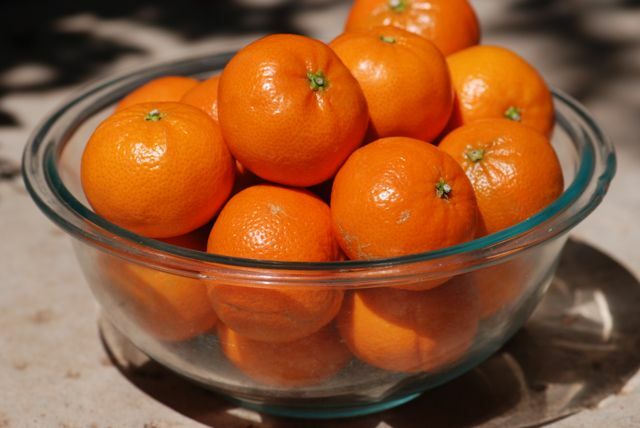 That it features clementine oranges, which are a familiar, popular snack for small children. 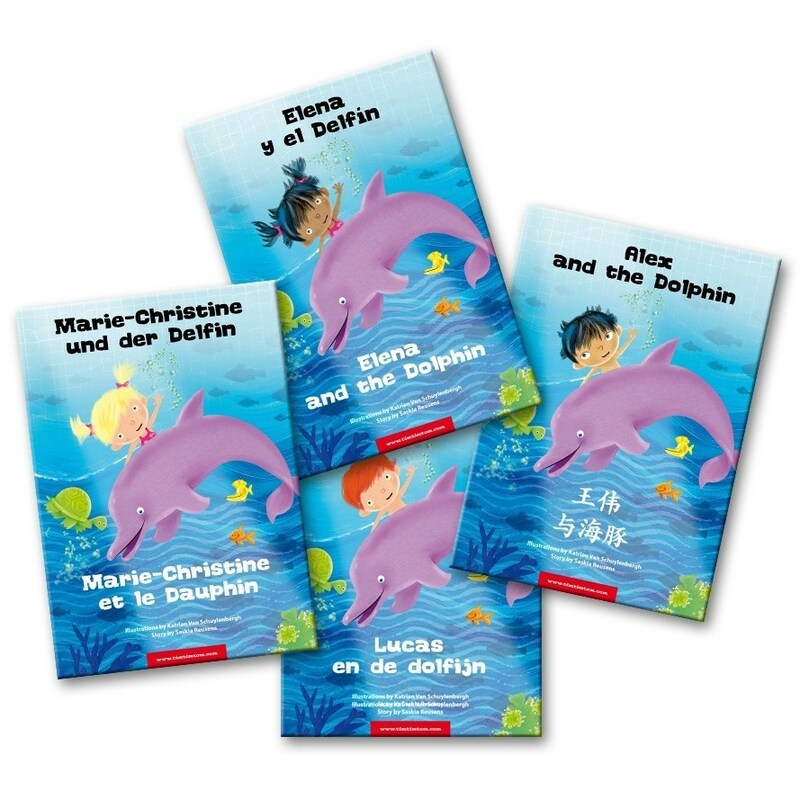 That the author is bilingual and the book is available in French. Gabrielle Grimard‘s luscious illustrations capture the time and place beautifully. You can just smell the citrus on every page. Like the orange, Fatima and the Clementine Thieves is a collections of sweet, complex-flavored messages wrapped up in a easy-to-handle package. Pick up a copy to savor with a young reader today. They will enjoy it. It is easy to find great activities to accompany this book. Spiders play a major role in the story. Try some of the spider-science themed hands on activities at Growing with Science blog, like the climbing spider and making a spider web. Introduce the idea of fractions. 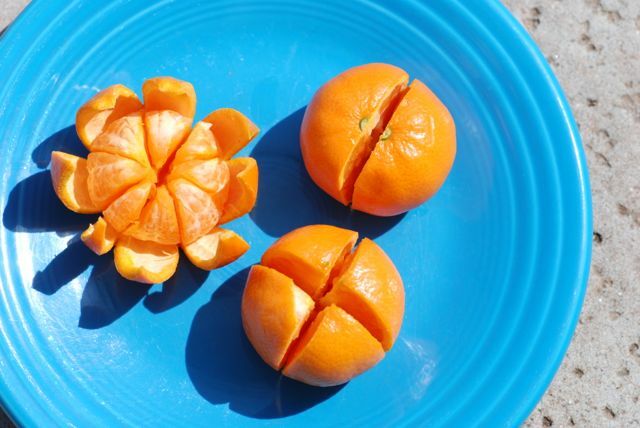 Have an adult cut an orange in half most of the way through. Then cut another in fours. Finally cut one in eighths. Have the children peel back the outer layer and look at the sections inside. Have them count the sections in their fruit. Write down the counts. Do all the fruit have the same numbers of sections? What fraction of the whole is a section in their fruit? For example, if there are eight sections in the fruit above, each section is 1/8 of the whole (roughly). Of course, they will want to eat the results. In the story, Fatima offers clementine peel flowers to the spiders. Slice the oranges in the same way as the previous activity. Let the children peel the fruit. 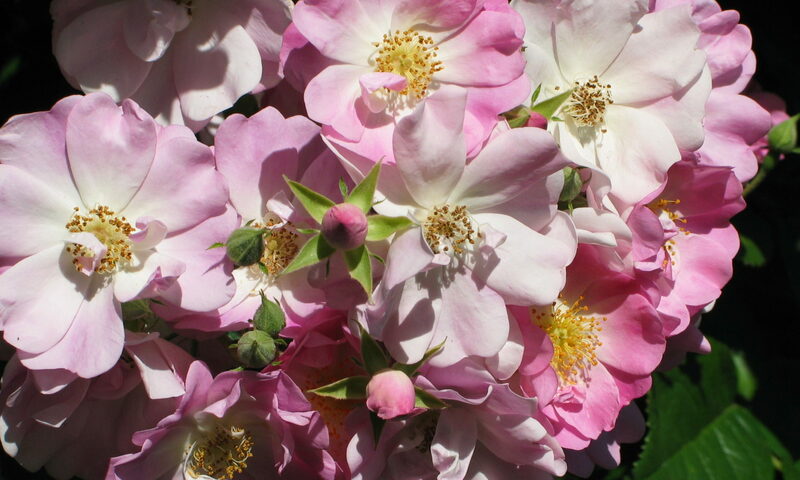 The peels can be used as “flowers” (see photograph below). 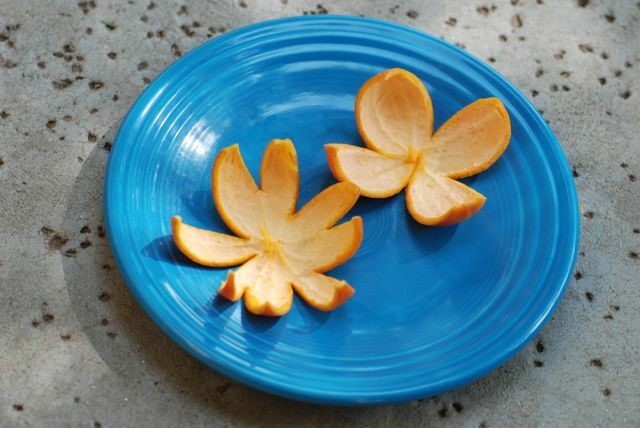 Create scenes with different-shaped peels, other fresh plant materials, and/or your choice of art materials. Photograph the results. (See a creative example here). For more advanced lessons, show how a three dimensional round object can be flattened into two dimensions. Note: The peels will curl drastically as they dry, so will need to be pressed if they are to be preserved. 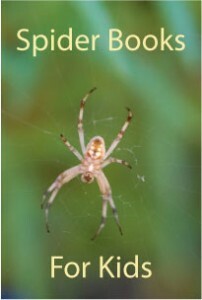 Want to read more children’s books about spiders? See our list organized by genre and age at Science Books for Kids. Disclaimer: Just so you know, the publisher supplied this title for review purposes. Also, I am an affiliate with Amazon. If you make a purchase after clicking on one of the title links, I will receive a small commission at no extra charge to you, the proceeds of which will help pay for maintaining this website.